School wide demo's are a great way to gather all students together to share inspiration, motivation and a brand message. 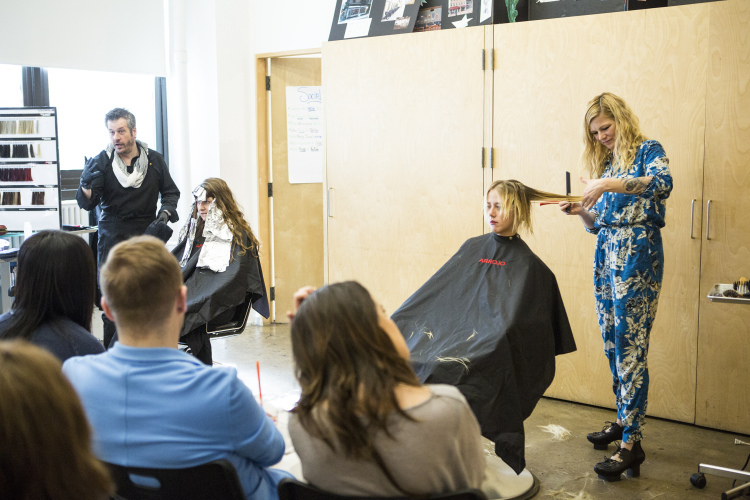 Our recent School wide demo ensured that all students were able to glimpse into their future, no matter which aspect of the industry the wanted to focus on. 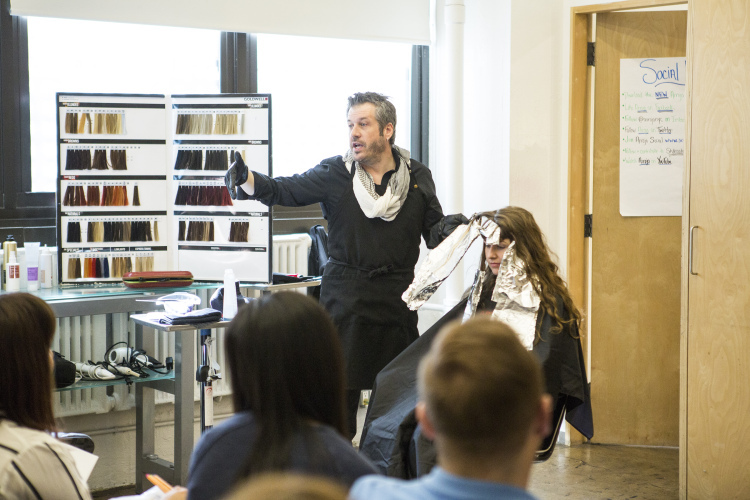 Hosted by ARROJO Cosmetology School Artistic Director Amanda Jenkins, Cosmetology Educator Carrie Chapman and also joined by ARROJO Color Director Patrick McIvor and InHouse make up artist Michelle the team covered cutting & coloring techniques, fashion and editorial styling tips & tricks and make-up looks to compliment. There was also a great deal of talent in the audience with our student body who come from many different backgrounds including Kevin Thomas Garcia who is a performer & photographer who captured these amazing images below He told us that "getting to use other artistic talents helps me tremendously in the learning environment."